Becoming Me: A Metamorphosis is a journey though the darkness and light of the human condition. It opens up discussions on deep and serious subject matters. It also speaks of the joy and love that we all seek. 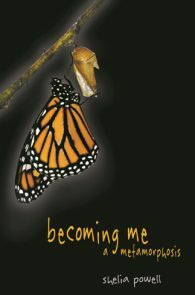 “Becoming Me, A Metamorphosis” is an in-depth, raw, gritty and complex look into the human psyche. It is a beautiful journey of healing. This collection of poems sways your heart into the world of reality while keeping your emotions on edge. The purpose of this book is to deliver a profound and meaningful message to you, the reader.